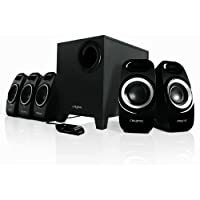 Yes you got this right now you have 5.1 Multimedia Speaker from Creative at offer price of Rs 4999 only from amazon India website. Buy this creative speaker and enjoy the sound at home. How to get this Creative Speakers at discounted price of Rs 4,999?